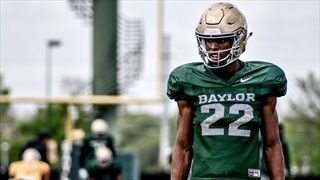 Baylor had a program-defining season in 2018 because of the standards that were set in practice. 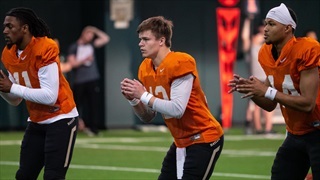 For 2019 and the future, the standard isn’t bowl games and winning seasons. 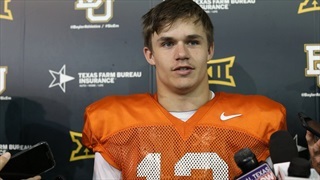 The mark has moved. 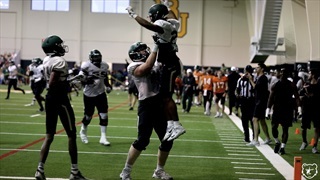 Baylor football hosted their annual Green & Gold Game on Saturday. 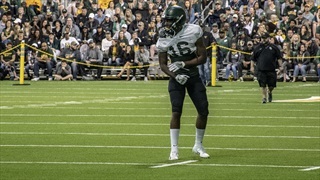 Jared Atkinson's path has been unusual, but his ability is real. 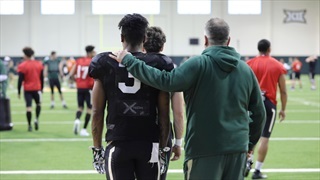 Now it's time for wide receivers coach Frisman Jackson to get the potential out of the redshirt junior. 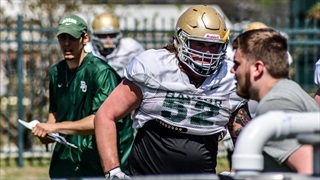 A brief discussion of Baylor's 2019 spring season with resident expert and SicEm365 contributor FTBLBOB5. 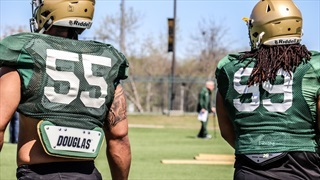 In this edition, FTBLBOB5 discusses Baylor's defensive unit. 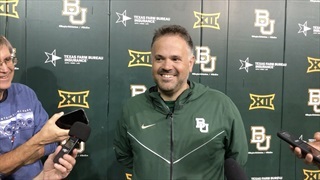 A brief discussion of Baylor's 2019 spring season with resident expert and SicEm365 contributor FTBLBOB5. 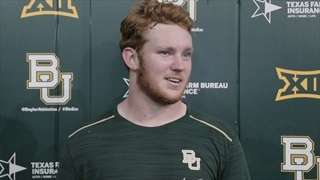 In this edition, FTBLBOB5 discusses Baylor's offensive unit. 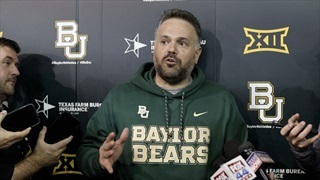 After what many would classify as a successful season in 2018, Matt Rhule knows the process isn't finished as he looks to take Baylor from being an average or good program back to a great one. 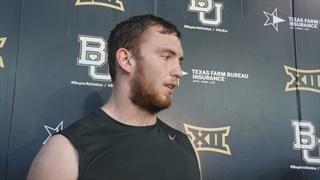 Baylor defensive linemen James Lynch, James Lockhart and Rob Saulin visited with the media on Wednesday evening to discuss their impressions of spring ball after two weeks. 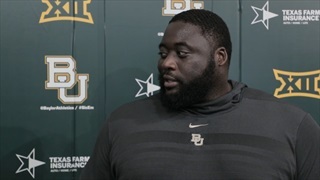 Baylor defensive line coaches Frank Okam and Joey McGuire discuss the development of the defensive tackles and defensive ends during spring ball and more. 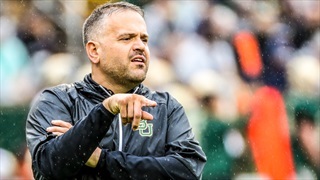 Matt Rhule continues to experiment with players to find the best possible position for them to succeed. 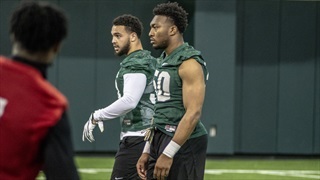 This time, it's running back John Lovett. 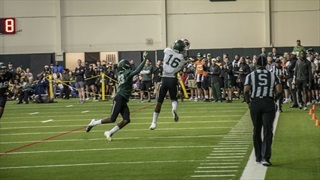 Notes from Baylor's scrimmage on Saturday evening inside McLane Stadium. 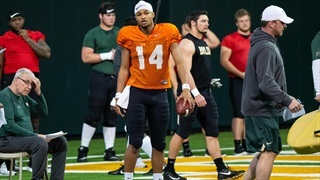 The Bears got back to practice late on Thursday night. 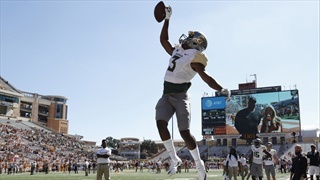 SicEm365 shows highlights of the action with Views from the Brazos. 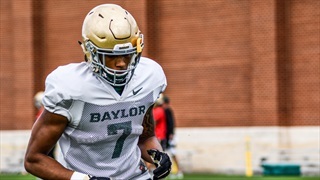 Baylor returned to the practice field on Thursday for their 5th practice of 2019. 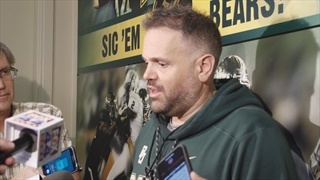 Coach Matt Rhule spoke to the media at the beginning of practice on Thursday to talk about the teams progression at the midway point of spring.